Sam provided us with prompt friendly professional services and the expertise to customise our web page to suit our business. Also at an affordable price. We would have no hesitation recommending Sam to any other business, he has great service and knowledge across the board and has done an awesome web design for our business. Grant Quigley of Q Stud is a cutting horse breeder and trainer based in Loomberah via Tamworth. 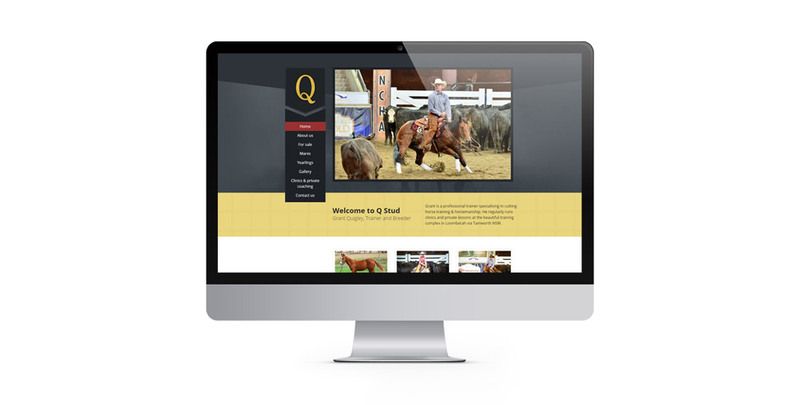 The stud needed a new website which could simply and efficiently provide the right information to the right people while incorporating the horse stud’s logo, branding and colour scheme.